Marine Institute: International Tuition fees vary depending on program of choice. See rates HERE. Anguilla – Caribbean Secondary Examinations Certificate (CSEC) and Caribbean Advanced Proficiency Examination (CAPE) or at least one year of study at a recognized Junior College, College or University. Antigua and Barbuda – Caribbean Secondary Examinations Certificate (CSEC) and Caribbean Advanced Proficiency Examination (CAPE) or at least one year of study at a recognized Junior College, College or University. Bahamas, The – Bahamas General Certificate of Secondary Education (BGCSE) and Caribbean Advanced Proficiency Examination (CAPE) or at least one year of study at a recognized Junior College, College or University. Barbados – Caribbean Secondary Examinations Certificate (CSEC) and Caribbean Advanced Proficiency Examination (CAPE) or at least one year of study at a recognized Junior College, College or University. Belize – Caribbean Secondary Examinations Certificate (CSEC) and Caribbean Advanced Proficiency Examination (CAPE) or at least one year of study at a recognized Junior College, College or University. British Virgin Islands– Caribbean Secondary Examinations Certificate (CSEC) and Caribbean Advanced Proficiency Examination (CAPE) or at least one year of study at a recognized Junior College, College or University. Cayman Islands – Caribbean Secondary Examinations Certificate (CSEC) and Caribbean Advanced Proficiency Examination (CAPE) or at least one year of study at a recognized Junior College, College or University. Dominica – Caribbean Secondary Examinations Certificate (CSEC) and Caribbean Advanced Proficiency Examination (CAPE) or at least one year of study at a recognized Junior College, College or University. Grenada – Caribbean Secondary Examinations Certificate (CSEC) and Caribbean Advanced Proficiency Examination (CAPE) or at least one year of study at a recognized Junior College, College or University. Guyana – Caribbean Secondary Examinations Certificate (CSEC) and Caribbean Advanced Proficiency Examination (CAPE) or at least one year of study at a recognized Junior College, College or University. Jamaica- Caribbean Secondary Examinations Certificate (CSEC) and Caribbean Advanced Proficiency Examination (CAPE) or at least one year of study at a recognized Junior College, College or University. Montserrat – Caribbean Secondary Examinations Certificate (CSEC) and Caribbean Advanced Proficiency Examination (CAPE) or at least one year of study at a recognized Junior College, College or University. Saint Kitts and Nevis – Caribbean Secondary Examinations Certificate (CSEC) and Caribbean Advanced Proficiency Examination (CAPE) or at least one year of study at a recognized Junior College, College or University. Saint Lucia – Caribbean Secondary Examinations Certificate (CSEC) and Caribbean Advanced Proficiency Examination (CAPE) or at least one year of study at a recognized Junior College, College or University. Saint Vincent and the Grenadines– Caribbean Secondary Examinations Certificate (CSEC) and Caribbean Advanced Proficiency Examination (CAPE) or at least one year of study at a recognized Junior College, College or University. Trinidad and Tobago – Caribbean Secondary Examinations Certificate (CSEC) and Caribbean Advanced Proficiency Examination (CAPE) or at least one year of study at a recognized Junior College, College or University. Turks and Caicos Islands – Caribbean Secondary Examinations Certificate (CSEC) and Caribbean Advanced Proficiency Examination (CAPE) or at least one year of study at a recognized Junior College, College or University. Email becomestudent@mun.ca for additional country specific requirements. English proficiency- Proof of English language proficiency beyond completion of the CSEC and CAPE examinations is normally not required. Please refer to the University Calendar for further details. * Scholarship standing is defined as having a 75% average at the end of two out of the last three semesters in the previous scholarship year AND the successful completion of at least 30 credit hours in those two semesters. Students who fail one or more courses during the scholarship year, regardless of the number of courses completed, will NOT be eligible for scholarships. 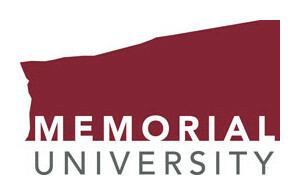 Scholarships will be awarded to female students who are enrolled in full-time or part-time studies at any Campus of Memorial University of Newfoundland who are majoring in engineering, the geosciences, environmental science or chemistry. Preference will be given to students with demonstrated financial need. Where possible at least one scholarship will be awarded to a student in her first year of study. Paton College consists of nine residence hall-style houses arranged around a courtyard and adjacent to the campus dining hall. The houses are co-educational and home to approximately 100 students each. Rebuilt and renovated in 2015, modern rooms are mostly double occupancy, with shared washroom facilities in each wing. In each house you will find study rooms, laundry and lounge areas. *A meal plan is mandatory for Paton College. Macpherson College is comprised of 2 wings: Cluett Hall and Shiwak Hall, each home to 250 students. Accommodations consist of private bedrooms with semi-private washrooms, and each floor includes a community lounge and meeting/study space. *A meal plan is mandatory for Macpherson College. Each of the four ‘Courts’ is home to approximately 128 residents and provides a high level of independence. The remaining two courts are for independent students in their second year and beyond, as well as those continuing through graduate studies. These furnished apartments each have four private bedrooms with a shared kitchen, living room and washroom, and are just a short walk from academic buildings and the campus tunnel and skywalk system. The family apartments in Baltimore Court have two bedrooms with a shared kitchen, living room and washroom. On Campus: Residences tend to fill up quickly and you should apply as early as possible. You do not need to be admitted into a program before applying. Most Memorial University residences are located on the St. John’s Campus (SJC), which is a 15-minute bus ride away from the Marine Institute campus. Off Campus : To locate an off campus residence students can search the rentals list (here), keep an eye out for rentals advertised on campus notice boards and online, or keep an eye out for rental signs near campus. NOTE: If you choose to look for accommodations upon arrival, please ensure you book temporary accommodations ahead of time.